Thanks to HLG (Hybrid Log-Gamma)*3 the AG-AC350 supports HDR (High Dynamic Range) which achieves a wide dynamic range on HDR-compatible TV monitors. The gamma mode can be selected from eight modes (HD, SD, FILMLIKE 1, FILMLIKE 2, FILMLIKE 3, FILM-REC, VIDEO-REC, HLG). The 1.0-type MOS (approximately 15,030,000 pixels) offers an outstanding depth of field and excellent balance between image quality and sensitivity. It supports multi-formats, such as UHD (3840 x 2160), FHD, HD and SD, and provides images without cropping in all modes. This MOS sensor also boasts high sensitivity of F12 (60Hz) /F13 (50Hz) (in both UHD and FHD in High Sensitivity mode). The camcorder can record UHD/50 fps videos in high-image-quality 10bit on an SD memory card. It also features a new, high-efficiency HEVC codec (LongGOP, 10bit, 4:2:0, MOV) . In UHD, variable frame rate (VFR) recording at 1fps to 50fps is possible. In FHD, super-slow can be realized at a maximum of 100fps. Both provide high-quality 10bit, full-frame pictures with no image area cropping even at high frame rates. 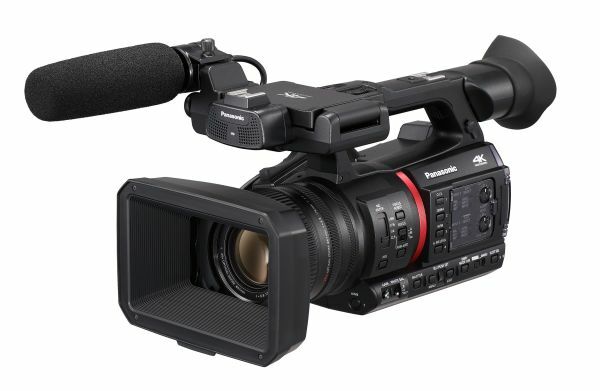 The AG-CX350 can be used for live coverage of concerts and sports events as well as for live streaming of breaking news. Facebook, YouTube, and other streaming services are supported. 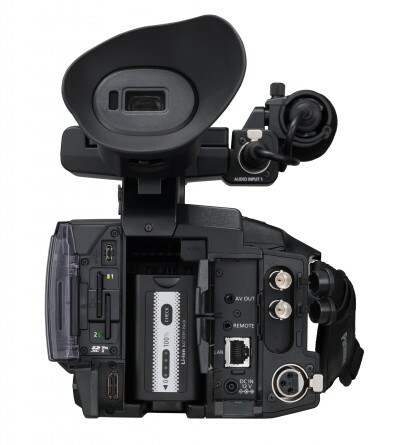 The industry’s first camcorder equipped with NDI | HX mode*4, it allows video transmission and camera control via IP connection, without using an external converter. 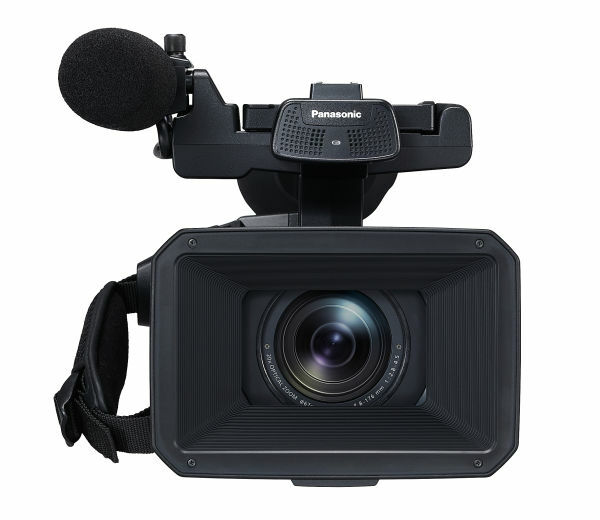 The camera can be built in to larger systems working alongside Panasonic PTZ camera systems equipped with NDI | HX and the Live Production Center AV-HLC100. The HLG specification was developed jointly by Japanese broadcaster NHK and the BBC in the UK. It is defined in ARIB STD-B67 and ITU Rec. 2100.